Very limited number of tickets available at the door for $85 general admission & $45 designated driver! We’ve been proud beer geeks since 1996, so it’s only natural for us to celebrate when our hometown becomes the center of the nerd universe during San Diego Comic Con. 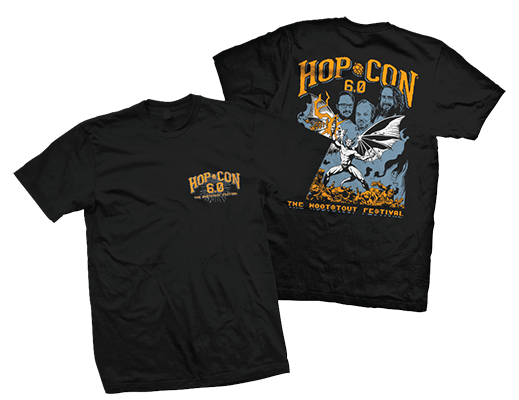 Join us at Stone Brewing World Bistro & Gardens – Liberty Station on July 19 for Hop-Con 6.0! This year’s celebration will be on Thursday night for the first time and have a few extra surprises in store. Designated driver tickets are available for $35. Ticket includes all the awesomeness of General Admission, minus the beer and commemorative glassware. Hero Initiative will once again be partnering with us to bring you this year's bottle art in a lithograph signed by the bottle artist Joe Jusko! Lithographs can be purchased for $20 online and during the event. There will also be a very limited number of previous years' artwork for sale. ALL proceeds go back to comic artists from yesteryear! Quiz-o-Tron is the world’s greatest science-themed comedy panel quiz show in which comedians battle scientists for the ultimate prize of wearing the Quiz-o-Tron belt. Join Lucky Yates (Archer), Jennifer Ouellette (The Physics of the Buffyverse), Joseph Scrimshaw (Obsessed), Drew Curtis (Fark), and host Rebecca Watson for all the raucous, nerdy, boozy fun! THIS EVENT IS 21 AND OVER ONLY, INCLUDING DESIGNATED DRIVERS. Please don't forget to bring your valid photo ID. Menu & beer list subject to change. We will have plenty of chilled water on hand, so leave your single-use bottles at home. Pace yourself. Our festivals are meant to showcase amazing beers in a jovial setting for likeminded people to enjoy them. We work hard to make each one a positive experience for everyone. Your safety is in everybodys best interest; as such California law prohibits us to serve any obviously intoxicated guests.